Near the Hotel Riessersee was the bobsled run of Garmisch-Partenkirchen, made for the Olympic Games 1936. 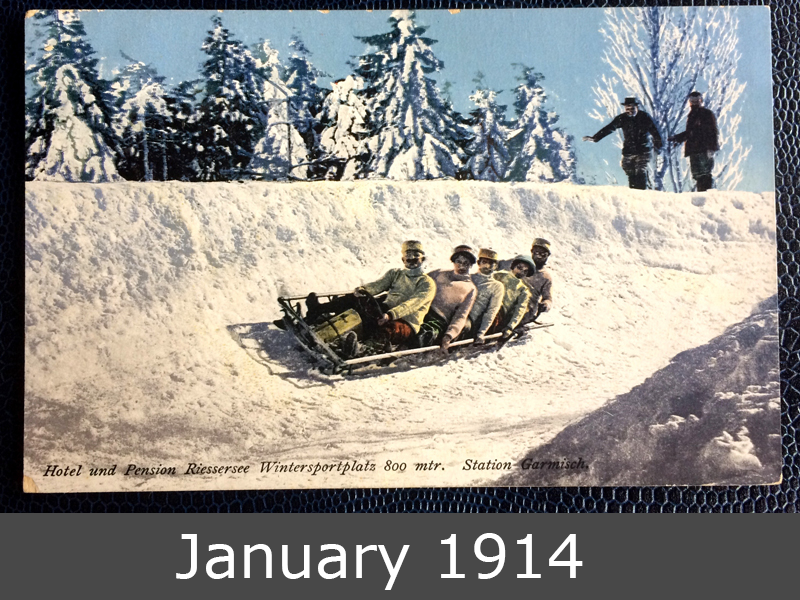 This postcard shows a bobsleigh on this track. 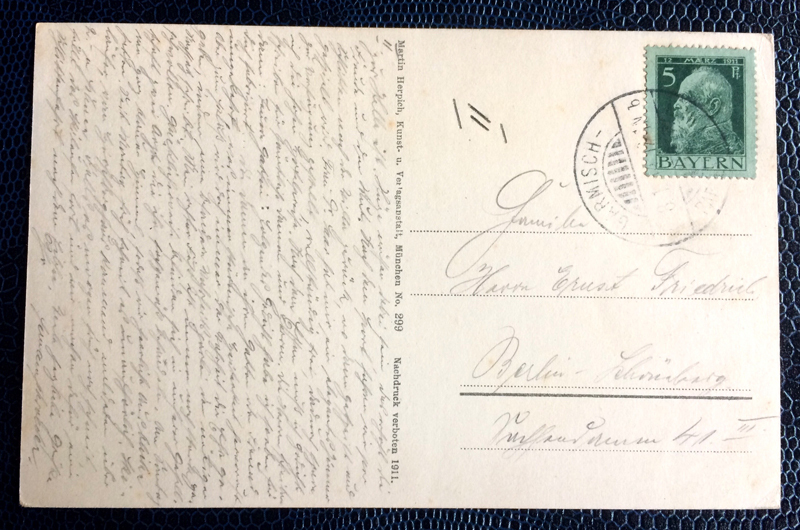 This postcard from 1914 goes to Berlin, stamped in Garmisch.